Today again no search engines. My day today is a day of travel. Munich-Dusseldorf, then further to Berlin. To get oriented in Dusseldorf I use OpenStreetmap. Where is the difference to Google Maps? OpenStreetmap is a Wiki-project. It is open. I can participate. Of course, Google Maps also offers the option to create and publish your own maps. The interface that Google connects with other applications is fantastically simple. But it makes a difference if I am just able to generate my own layer, as it would be not possible otherwise with proprietary projects of the kind of Google Maps, or if I can work in the very core of the system. Similar to Wikipedia, the revision history of the maps’ details is very interesting and records the “extinction” of objects, an arbitrary event that is often seen on Google Maps. When maps get updated, the old versions are no longer available for us. There is no history. Apart from the honesty to make visible and keep record of the development and the (hopefully) steady improvement of the maps with every step of revision, it is the discussions, that some contributions provoke, that tell a far more vivid story compared to a simple map, where you could only speculate on the “why” of the existence – or even the lack – of an entry. Google usually does not tell about its motives. And sometimes it is just bizarre what is left out by Google Maps. The mysterious clouds that stretch over certain buildings – so much more discrete than having the sight pixeled! 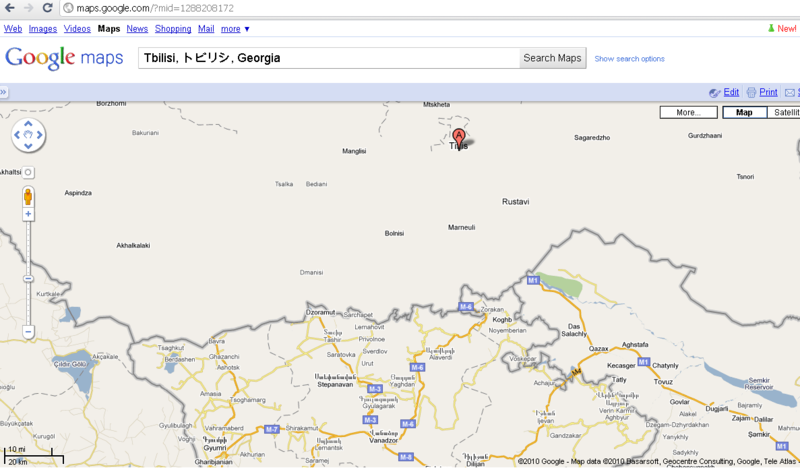 Or whole countries that vanish away from one day to the other, Georgia for example, nomore showing any information at all since the Georgia War 2008. 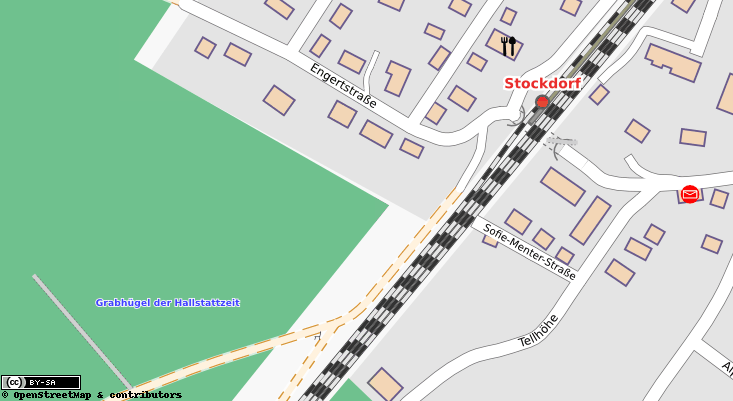 And of course all details are still available on OpenStreetmaps . Wikipedia and its sister projects are not perfect. The arbitrariness and the rude manners of some administrators have been cause for many complaints – and with good cause. But all that is happening is in the open and should – at least in principle – be inviting to participate. I wish that more communal administrations would contribute to such projects, would claim their space in there and would thus make available their taxed-financed data for us, like done in e.g. Augsburg. How nice it would be, if the beautiful data offered by the Bavarian state office for the preservation of monuments (Bayerische Landesamt für Denkmalschutz) or the water authority would get an open interface to connect to other data without changing format. For now it is on us to populate OpenStreetmap with historic monuments, districts and the like and make it so available. Today once again, I am very satisfied. I once more got the feeling that it was worthwhile to have spend my time with what I have read online. And I got along securely on unknown territory – by foot and by public transport – even without Google.